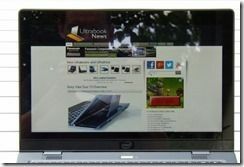 Unlike the last developer-edition Ultrabook, created for the launch of Ivy Bridge, this product is in a different league. It’s slicker, it feels like it uses higher quality components and materials and it looks great. I think the casing is plastic but it’s incredibly solid and feels good to the touch. I wonder if this is Intel’s new low-cost plastic casing. If it is, it gets my thumbs-up. Not only is Harris Beach a product that looks and acts like a great Ultrabook, it’s got the packaging to match. Here’s the unboxing. Watch out for the surprise as the lid is lifted! Here are a few specs for you..
CPU Core i5 4th generation. 1.4Ghz (Turbo max to 2.9Ghz) VPro capable. GPU HD5000 graphics with max clock 1.1Ghz. 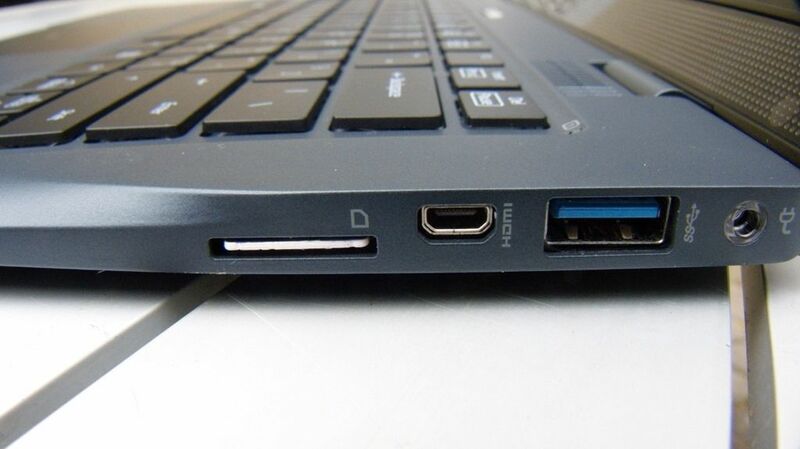 Dual array mic as per Haswell Ultrabook standard. Full gallery of Harris Beach developer Ultrabook. The fans aren’t the quietest either but there’s the challenge for devs – build an app that doesn’t trigger the fans! All the drivers (for the pre-installed build) are provided on a USB stick and it looks like a recovery partition is also available. The status of that build, however, is unknown. 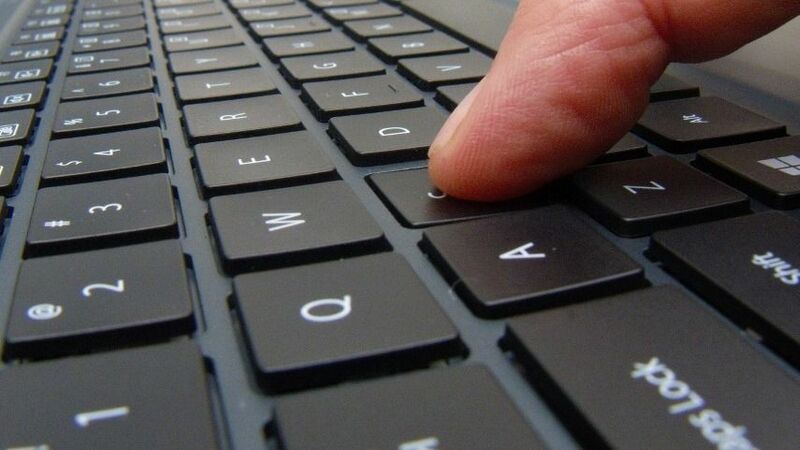 Latest drivers are available to developers that are registered for Intel Premier Support. Touch Terrain – Using touch to deform terrain. Real-Time Strategy – A Game demo that uses multiple input methods. Windows 8 Touch Coding Demo – Windows 8 desktop code. 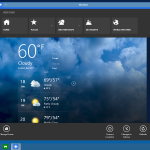 Windows 8 desktop rotation – Detect screen orientation changes in desktop applications. Sensor Explorer – How to register and receive sensor information from a Windows 8 desktop app. Light Scattering – GPU capability demo. Software Occlusion Culling – This probably means something to graphics people; Not me though! Head-Coupled Perpective – Head tracking using the webcam and perceptual computing SDK. 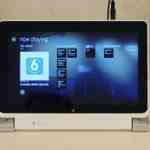 Intel Power Gadget – Shows real-time Haswell package power usage, TDP and other information. Intel Smart Connect Monitor – Detect and respond to power transitions in an application. 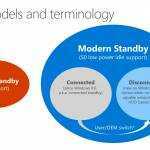 SIMD Instructions in Windows 8 Store apps – SIMD can boost performance in Windows 8 apps. SIMD library. That’s a great set of demos for developers. Speakers: Stereo and good quality. How to get Harris Beach. We’ll bring you contact information as soon as we can. Please be aware that this is a development kit and its use will require contracts with Intel. 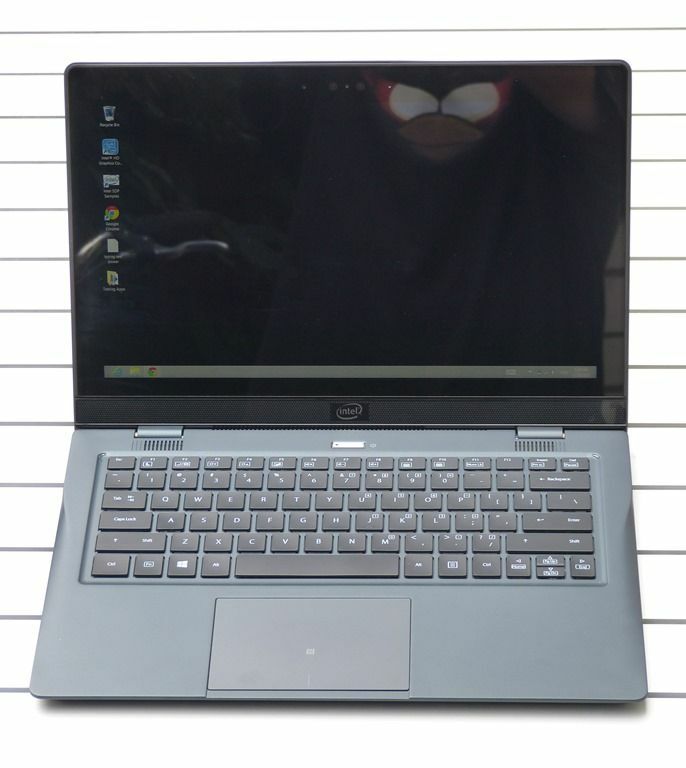 Our Ultrabook developer resources, with more code samples, demos and lots more information can be found here: Ultrabook Software Development Resources. See all our Harris Beach articles, including the latest articles when posted. Full disclosure – The hardware for content related to Harris Beach has been provide by Intel. We have agreed to write a set of 3 articles on the product. 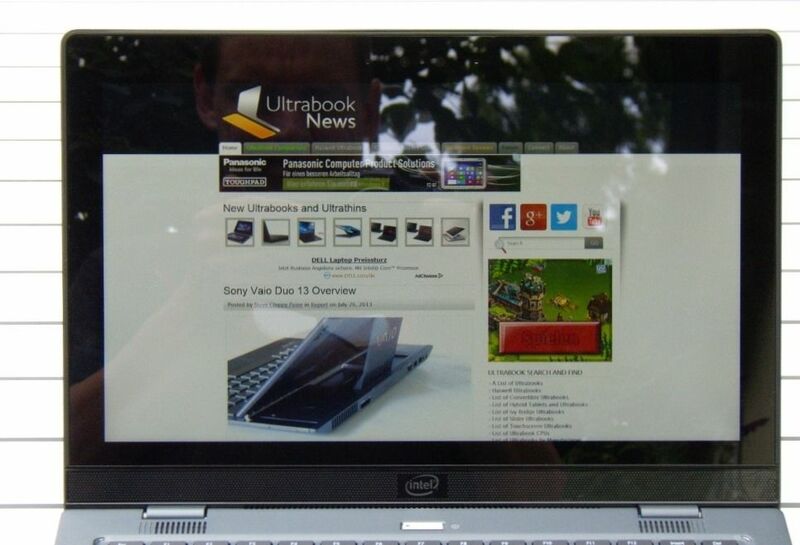 All posts are 100% written and edited by Ultrabooknews. Looks pretty nice for a dev kit. Wonder if the broadcom modem also has the problems with connectivity as some have had on the Duo 13. The Broadcom modem is 2.4Ghz and reception is relatively weak but perhaps acceptable for a developer that may not be too mobile and that can set this Ultrabook up as a desktop with the included Ethernet adaptor. We’re going to have to keep a close eye on this Broadcom module and the antenna design around it. No 5Ghz is a problem for many these days too. 4GB of RAM, 128GB SSD […] and fan that’s irritating in a quiet room. Add a glossy screen: it’s a no-buy. It truly is a no-buy. 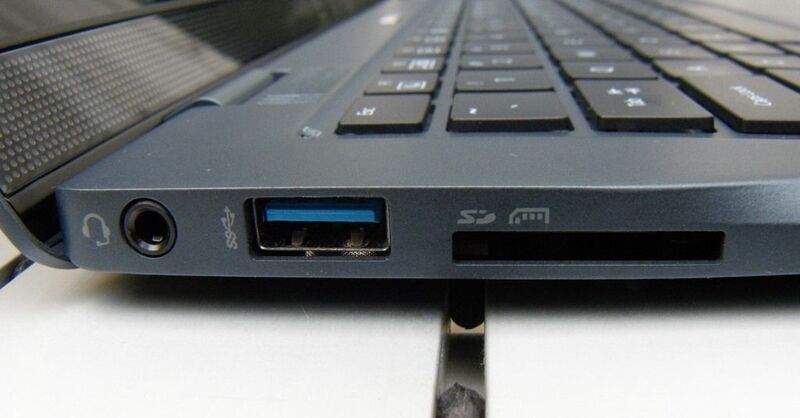 This is not a consumer Ultrabook. Too bad about the crappy WiFi but I guess being CS capable is more important for developers. No working at the cafe, airport and other places. I doubt devs would want to spend their mobile data downloading stuff from code repos. That is if they’re not working for a company that would pay for it. Still, is this Broadcomm chip the only available one? CS capable Clover Trail devices at least have a dual band chip. Which Clovertrail devices have you seen with dual-band? I have two here with the Broadcom 2.4Ghz solution. My Dell Latitude 10 connects to my 5 GHz SSID just fine. I have separate SSIDs for 2.4 GHz and 5 GHz. It has a Dell rebranded Broadcom WLAN + Bluetooth chip. It only has a single antenna so it’s not very robust which becomes very apparent during long transfers (voice/video chats, video/audio streaming, LAN file transfers, etc.). I haven’t checked what the Broadcom model number is. 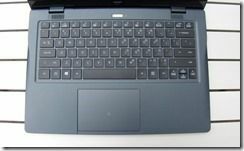 Some reviews say the Samsung ATIV 500T is dual band. Same for reviews of the Acer W510. I know you have a W510. Maybe there’s something up with your setup? 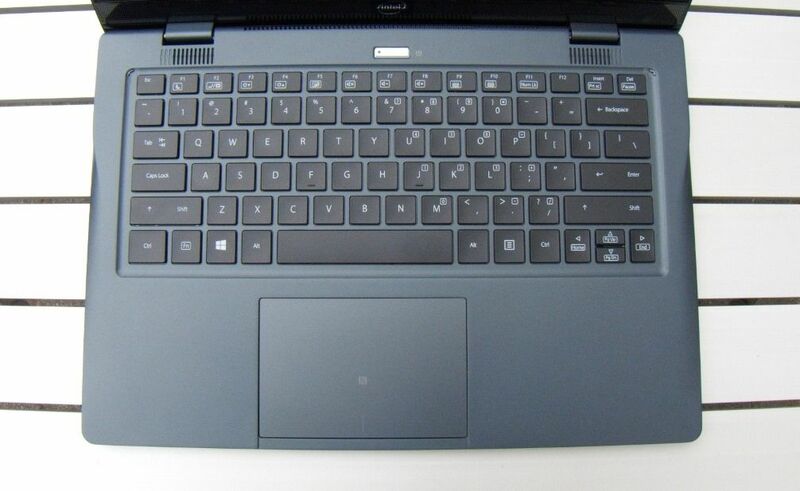 Maybe this ultrabook really is dual band, albeit an unstable 1×1 antenna design. Interesting. I will check W510 and 500T again as I have them here. I’ve made a mistake. The Harris Beach Ultrabook *does support 5Ghz band* I’m connected now (802.11n). (My problem is that my 5Ghz hotspot is a little further away and was dropping back to the 2.4Ghz hotspot as I tested.) I will now go and re-test the two Clovertrail devices I have here and prepare a correction. My apologies for this mistake. I will correct the article above now. Interesting that the Broadcom adapter properties suggest that diversity antennas are possible. I will look closer into this. I guess you have a big house. 5 GHz signals not being able to travel far or through walls as well as 2.4 GHz signals are both good (less interference) and bad (less distance). I have antenna diversity options too but I definitely have a 1×1 configuration. There are also 40 MHz bandwidth options but I never get a link greater than 65 Mbps which is the max for 20 MHz bandwidth. My notebook with an Intel 6300 WiFi chip gets a 450 Mbps link fine (3 streams and a 40 MHz channel). I haven’t heard much about WiDi lately, but I’d like it. I heard a rumor on notebookreview.com that Intel would only allow Intel wireless with supported WiDi to receive the “Haswell Ultrabook” label.